Ecologic Institute supported the European Commission and the Ad-hoc Task Group on Hydromorphology in organising a Common Implementation Strategy (CIS) workshop. This CIS workshop on the subject of significant adverse effects was organized on 23 and 24 April 2018 in Brussels. The Workshop Summary Report presents the main discussions that occurred during this meeting. In addition, prior to the workshop, Ecologic Institute prepared a discussion paper [pdf, 1.9 MB, English] providing background information to workshop participants on the topic. 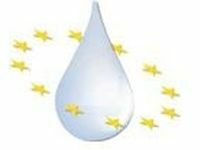 The work program 2016-2018 of the Common Implementation Strategy (CIS) for the Water Framework Directive pays particular attention to the topic of hydromorphology. Activities are currently ongoing to elaborate guidance on the Good Ecological Potential (GEP) for Heavily Modified Water Bodies (HMWB), complementing the existing CIS Guidance No. 4 on HMWB designation. In the context of HMWB designation and GEP definition the question of which measures for achieving GEP constitute a ‘Significant adverse effect on use or the wider environment' requires particular attention. Kampa, E., Rouillard, J., van de Bund, W, Brooke, J. 2018. Workshop on Significant adverse effects on use or the wider environment from measures – Summary report, 23-24 April 2018, Brussels.